How Do You Use Social Networking Sites? Vote in the poll to the right (in this blog's sidebar) about your linking strategy. As has been written about on this blog many times, there is a controversy about only accepting links to people you know well vs. linking to everyone. Is on-line social networking about quality or quantity? Guest Blogger - Scott Killingsworth -"The New Entrepreneur Plunge"
The following guest blog post appeared earlier this week on the Austin Start Up Blog. I work with Scott and thought I would share his insightful post. Guest Blogger Scott Killingsworth is the Chief Operating Officer of vcfo, inc. With over 800 clients to date, and offices in Austin, Dallas, Denver, and Seattle, vcfo has been an industry pioneer and continues to be a leading provider of financial, human resources and systems implementation services to companies ranging in size from emerging to public. So you are ready to take the plunge? You have a market changing idea, the nerve to leave your stable job and some hard earned capital that you are willing to part with to get your new venture off the drawing board. Starting a new venture is one of the biggest, riskiest, yet potentially most lucrative decisions you will make. For some time to come, you will put your heart, soul, and a tremendous amount of your spouse’s patience into the effort. Big payoffs do happen - but make no mistake - you are elephant hunting. So how do you hedge your risk? First ask yourself what successful professional investors look for in their investments. Yes, they look for an idea that can change the world - or at least a tiny billion dollar part of it - and they look for market or technology expertise, but without an exception they look mostly for experience. Everyone loves the enthusiasm of a new entrepreneur; however, investors are more likely to put their money into ventures where an experienced entrepreneur is involved. Why? For the same reason you wouldn’t climb Everest without an experienced Sherpa. Experience usually equals fewer mistakes, more rapid progress on goals, and thus optimized use of capital. My advice for any new entrepreneur is to not launch into your new adventure without connecting with someone who has walked the road before. You gain valuable insight and assistance from experienced mentors that will likely enhance your chances of success. Experienced members of your team or mentors can impart advice to help you avoid potholes; but also introductions to others in their network. You will be amazed at the sudden availability of experienced professionals that want you to be successful. Austin is a great community for new entrepreneurs and startups if you tap the early stage network of entrepreneurs, investors and professional service professionals. The easiest way to tap this network is to contact an Angel Investor group or one of the early stage service firms. Attend any networking event where these experienced professionals may be in attendance. Don’t be shy, introduce yourself and ask for their input and assistance. Bruce Allen of the superb Marketing Catalyst Blog has a post this week that illustrates a dynamic argument against "Me Too Marketing". I have written about this topic on many occasions, but I do not think that I have ever been able to give such a great visual on why law firms and other companies need to avoid doing similar marketing campaigns to the competition. Women do not want to wear the same dress to a party as another women at the same event. They take pride in their individuality and personal style of their wardrobe, and to copy others is not acceptable. He says that we all need to look at our marketing programs as the clothes we wear. Why would you want to dress like your competition? Bruce got me thinking about how law firms and companies behave. Stop allowing your organization to be a copycat. Remember the famous episode of I Love Lucy where Lucy and Ethel buy the same dress for a talent show. It drove them crazy to be seen in the same outfit. It was just not going to happen. Yet everyday companies and law firms participate in "Me Too Marketing", happy to let the market place see them as a commodity...a sister act....just like the competition. To develop unique marketing takes time and effort to create. You cannot just hire an advertising agency and hope they will deliver results. If ad agencies could work magic then you would not see the world of dull advertising that exists. Make the same commitment to your marketing as a stylish person would put into selecting their wardrobe. Think about what Bruce Allen says and remember that your marketing is the company's fashion statement. Wear it well and with style. On Wednesday, Nov 28th I am speaking at the Metropolitan Business Club on the topic of "Don't Take No For An Answer - Make Your Book A Reality". While my usual presentations are focused on the power of business relationships, marketing, business development and networking, I am very excited about this speech. My personal experiences since releasing both my books have been amazing. Having completed these books have given me a whole new outlook on life, goals, motivation, and friendships. I often talk with people who desire to write a book, but are not sure how to make their dream a reality. Hopefully I can share what I have learned and maybe inspire at least one person to finish their manuscript. There are many paths to completing a book, and my way is not necessarily the "right" way for everyone. During this talk we will explore the good, the bad and the ugly of what an author can face along his or her journey. If you live in Austin, Texas and can attend, that would be great. It is always nice to have friendly faces in the audience. The Metropolitan Business Club is a great local networking group that might appeal to some of you. Very interesting and friendly people. This is good chance to check out this organization. The registration fee costs $15. You must register by Tuesday, although I think they accept walk ins at the door (I think). You can register at http://www.mbcaustin.org/. Finding the faults in others seems to be a national pastime. Everyday I see people who too quickly look for ways to chop the reputation of others, rather than building up what is good in humanity. Mistakenly they think bringing another down it will raise them up. It does not work that way. When we focus on the negatives, we just bring everyone (including ourselves) down. This is relevant in politics. Republican supporters go crazy tearing down the democrat candidates, working hard to make them look evil. Meanwhile, the democrats characterize the republicans as the devil. Both sides spend so much time pointing out the faults of the others that nobody ends up looking good. This week there was an editorial in the Austin American Statesman (from the Nov 22nd New York Times) by Gail Collins titled "Everything We Don't Want". When you get past the partisan slant of her editorial (I could care less if she was on the left or right), what you are left with is a horrible piece of editorial writing that is just there to belittle those she does not like. There is nothing constructive in these fifteen paragraphs...it just focuses in what is bad. There are no facts, just sloppy negativity disguised as stylish writing. Making the other political party look wrong will not cause anyone to flock to her view point. It might make those who agree with her smile, but it really does not help anyone. Yet with politics, this is the norm. It does not work this way for the rest of us. If you want people to admire you (and your point of view) you need to give them tangible examples of the positive rather than observations of how someone else terrible. People want to rally around the goodness, not run in fear from the icky things in life. As a person I want to be inspired, not brow beaten. This is important to remember when you are building your business career and reputation. Look around at how many conversations you have where someone who is not present is the topic of conversation. Now look at the slant of these discussions....are you praising others? Praising is a great way to expand your personal brand. Nobody is ever scared of what you say about them behind their back when they witness your positive outlook. Find the good in others and people will see the good in you. However, if you are often engaged in gossip and back-stabbing then your reputation will be just that. You need to be aware that how you speak of others will directly reflect upon how your are perceived. The best thing to do is to look for the good in people. Even people you do not like. Everyone has something about them that you can admire (yes, serial killers and other criminals are not what I am talking about). Look around your office and start identifying two good things in all those with whom you work. What is it about these people that makes them good. You need not run and share all these qualities, but you could....as who wouldn't want to hear why you see them as special. If all those who follow politics were required to find two good things about those they oppose politically, the world would be a better place. I would find it interesting if Ms. Collins re-wrote her editorial looking for good things rather than being a negative nelly. I am pretty sure that would never happen, as it is not her style...but maybe it should be your style to find the good in others. I was quoted in an article about networking at Forbes.com on making the best of attending holiday parties (for those looking for jobs). ".......Now that you've got a list of people to talk with, make sure to get there on time. Arriving when there are fewer people makes it easier to get time with the party's hosts and the board of directors. 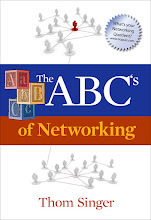 For people who feel shy about meeting strangers, getting there while the crowd is small is much easier to manage than entering a room full of 200 partiers already having a good time, says Thom Singer , author of The ABCs of Networking." Forbes.com writer Tara Weiss' artilce is full of great advice and quotes from myself and networking experts Lynne Waymon and Andrea Nierenberg. ON MONDAY NOV 26th the ABC.com website picked up the story also. Click here to read. "Your Life Is An Opportunity - Rise To It"
Every November the Austin office of the Akin Gump Law Firm hosts a unique event which I think is brilliant. They rent out a movie theatre and invite all their clients, prospects and friends of the firm who have young children. They show a hot new kids movie, and provide all the children (and their parents) with all the popcorn, soda and candy that they can eat. They also have a professional photographer on hand to take family portraits and pass out toys to all the smiling children. Throughout the year I am invited to hundreds of business events. Sometimes my wife is asked to join in the fun....but this is the ONLY gathering that includes my kids. My daughters look forward to this all year long, as their dad can be cheap when attending a movie, and the visit to the concession stand always has strict budget constraints. Not today. The Akin Gump lawyers and staff were there to encourage the kids to get whatever they want. "Popcorn AND Candy?...wow, dad would never allow that!" proclaimed my four-year- old daughter last year. This year, at age five, she is an old pro and eating herself into a sugar high. This year's private screening was of Dustin Hoffman's and Natalie Portman's new movie, Mr. Majorium's Wonder Emporium. The movie has a great message for the kids about following your heart inside and letting your internal sparkle unleash the magic of your potential to follow your dreams. This message rings true for law firms and other businesses. Let you colors shine. Jason Bateman's character, Henry, starts off the movie dressed all in grey. Too often I think that grey takes over our business persona's. Throughout the movie as he opens his soul and begins to wear more color. While a metaphor, I think the grey takes over our world when we take ourselves too seriously. We need to have vivid colors in our lives to excel. Akin Gump continues to have this annual event at full capacity, and the same familiar faces of friends from the business community, with their entire family in tow, return year after year. This is a wonderful chance for the lawyers in the firm to socialize with clients on a different level. Relationships are not built by sending a bill. True relationships are built by sharing experiences. I often talk about this annual "family movie day" when I speak and train at other firms, but I do not think that many understand the power of these types of events. Most law firms do not "get it". They continue to act like every other firm. How about your law firm or company? Do you look for unique ways to interact with those who are important? Or is your company holiday card the only way you reach out? Think of it this way....what if you competition was doing fabulous events for clients, prospects and other VIP's in our business community? Would you be happy that they were having great bonding experiences while you were mailing a holiday card with a gold embossed signature? How do you know they are not??? The opportunities are there for you to be amazing. Rise to the opportunity. 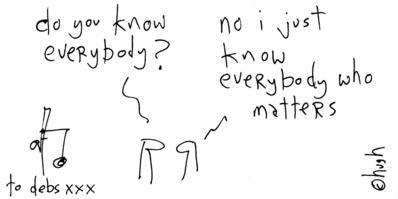 Nobody knows everyone. But knowing those who matter can make you more valuable. If you look at your circle of friends and business colleagues, are you the most important and powerful person in the crowd? For your sake I hope not. Many people like the feeling of being the smartest, most successful and best connected person in their group. They thrive on the adoration. But if you are at the top of the hill, then you have nowhere to go but down. To really succeed you need to be connected to people at all levels, up and down the line. Opportunities come from people, but you need to find the right people who will want to help you excel. Success is not about being adored. It is about having your own goals and aspirations to achieve more in your. Find people whom you admire and get to know them, as the ones who are really successful will enjoy giving you a hand up to the top. "What if it were possible to fast-forward relationships, whether with new friends, business partners, or romances? To get past the honeymoon facade of niceties and see their true tendencies underneath all it all?" He then suggests that we put people into planned situations where they might get irritated to see how they react. Thus, if they bark at waiters who deliver poor service or snap when you change plans on them at the last minute that you can remove them from your life sooner rather than later...thus saving yourself the investment of time getting to know them better. While I agree that time does reveal the true character of people and that some folks do put on a facade in the early stages of a relationship, his plan to trick people in to showing their true colors is just wrong. It is not right. Even if I have to work more than four hours a week, I don't want to plan for manipulation of other people in this manner. People are not your own personal science experiment. They are not rats in a lab that you get to toy with see how they react. The things he is suggesting are just as one sided and awful as what the liars, cheats and frauds are doing to you by presenting a false image. I think too many people look at new relationships and think “How will this relationship benefit ME!”. Tim's suggested “tests” of how people react are one sided. It says “let ME make sure that they will be a good friend to ME and be worth MY time and investment in this relationship so that I can save MY time if they are not a fit”. It just leaves me feeling icky to think that folks would be “testing” each other in a manipulative fashion to decide if the other person is “worth” it. Anyone who discovers they were tested in such a manner should walk away from the tester. Giving people the benefit of the doubt (that they are good at heart) does take time and many folks will let you down in life. But one cannot make every personal decision based on how it effects their own experience…or by conducting a cost benefit analysis of every friendship. That is awfully selfish. I have found that MOST people are good and just. Therefore you can approach your new relationships with an honest and open heart. When those come along who hurt or trick you, that is just a lesson. This does not mean you should not have your eyes open and watch out for yourself (of course you should always be aware of your surroundings), but do not let the bad guys get you down or make you cynical and guarded toward everyone else who comes into your life. While time is precious, do not let the saving of time cause you to shut others out or resort to having a litmus test to be your friend. People are not like cars, you do not get to take them on a test drive. Sunday night we had dinner with some friends and their son Enzo. This seven-year-old kid is a science wiz, and an expert on bugs, animals, plants and other stuff. It was the first time we met this now budding young star, but it wont be the last...as he is headed toward real fame. Enzo decided he wanted to produce his own short nature show, and with his parents help he put it up on YouTube. WAMMO...the power of viral marketing....and ENZO IS A STAR! People have gone nuts for this kid and his science reports. Spiders, sharks, lizards, dolphins and a praying mantis all are his co-stars. Watching his face as the tarantula climbs up his neck is priceless! He is a silly and zanny kid, in addition to being brilliant. With his wild locks of hair and charming smile, it is no wonder that he has had hundreds of thousands of downloads of his new internet show, "Enzoology". So popular is Enzo that this week he will appear on The Ellen Degeneres Show . It airs Friday, November 16th (tomorrow). I can't wait to see it. Let's not kid around, the marketing and business development people who work for the top service provider firms in your town have a lot of power and influence. You should know them better. It is not well known and often over looked, but these people in law firms, accounting firms, banks, consulting firms, insurance brokerages, venture capital firms, public relations firms, etc... all have attention of their clients and the ears of their senior partners. Very often they are the first to know about major changes in the local business community, and the requirements of their jobs make them directly or indirectly involved with all the top networking organizations. While many people spend their networking efforts forever chasing the C-level players in town, the smart ones get in line to know those in marketing, sales, and business development. These professionals always have outgoing personalities, and are not as guarded of their calendars as other senior executives, which makes getting to know them easier. 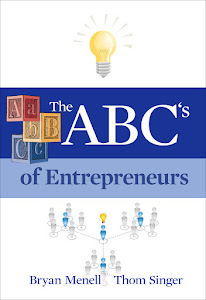 A smart idea to get to know some of these key people is to gather a small group together for lunch or happy hour. Yesterday in Austin we had 15 marketing and business development folks in one room just to facilitate better networking, and the event was a huge success. There was no agenda, just some good friends from a cross section of industries having lunch to catch up on what is happening around town. We do this every year or so, and it brings together some old friends and new faces from these different services firms. Yes, some folks are competitors, but we are not there to trade secrets, just broad best practices and some local business community scoop. I am assuming that someone out there who just read this thought; "wow, I should do that in my community and bring together a group of marketing folks that I want to know better!". If that crossed your mind, then do it. It was easy to put together. A friend of mine who is the marketing director at a major law firm and I created a list of 25 people to invite. We found a private room at a restaurant and negotiated a flat fee for the lunch. We then sent out the following email using evite.com. Planning the event took me less than 15 minutes. It has been a long time since we have pulled some of the cool marketing folks together for a lunch to chat and discuss what is going on around [insert city]. Some of you have been to one of these gatherings before, others are new faces. There is no agenda, just a chance for us all to get to know each other better and catch up with old friends. Please join us on [insert date]at [insert restaurant]. Bring $22 cash, as that will cover salad, food, desert, tea, tax and tip. We have the private room downstairs reserved.The room only holds 20 and we have found in the past that more than that becomes too big. ***If you RSVP "yes" you will be expected to pay if you no-show, as to get a private room like this we need to guarantee the head count the previous Friday!!! The great thing about planning an event like this is that you get to invite the people whom you want to network with. Since there is no agenda, most people will enthusiastically attend, as they all know that hanging around other marketers from service companies is mutually beneficial. It is important to put that reminder about no-shows having to pay, as you do not want to be left footing the charges for those who get called into last minute meetings, etc... But even if you did have to pay for a few people, the value of the event is worth the cost. We had 15 people in attendance and it was great!!! LinkedIn - How Do You Use It? Kevin O'Keefe asked me a question the other day about how I use LinkedIn. I think this is a burning question that leaves many who network perplexed. LinkedIn has grown to be a common tool for business professionals, but most do not know how to use the on-line social networking service. Because they do not know how to use LinkedIn (or other similar sights), they simply ignore them altogether. I will admit that I am not a LinkedIn Power User. While I have had a profile on LinkedIn for many years, I have not actively perused links to people in my network. I have 200 connections on the system, but my personal database has many more. Since not everyone uses LinkedIn, or uses it in the same way, the system has flaws, so you cannot utilize it as a primary way to manage your contacts. Instead, it is a good way to supplement your own CRM system. LinkedIn does have some advantages which make it important to have a profile. One is that it makes it easy for people to find you if you have an up-to-date profile. Former co-workers, college friends, potential employers and others can easily conduct a search on LinkedIn and discover your current whereabouts. My advice is that everyone should use LinkedIn, but remember, that it is just part of your networking, it does not replace the importance of real human interaction. You still need to reach out cultivate our friendships or they will wither away. There will be times in your career when you are going to get off on the wrong foot with someone in your network. It just happens. No matter how good our intentions, we will encounter people who we do not like, or vice versa. Many who do not embrace the power of business relationships have no problem with harboring ill feelings toward others, but those who strive for networking success are internally challenged when they have a negatively charged relationship. Sometimes it is easy when you have a large circle of friends and professional contacts to place the blame on the other person. Obviously the issue cannot be you, as there are many examples of folks who adore you....so the problem must rest with the other person. I disagree, as to have a positive relationship takes the effort of both people. Besides, taking responsibility to fix a bad connection is not the same as admitting guilt. Instead it shows you really care about your networking and are willing to give folks a second chance. I was on the board of directors for a local business/technology group. Just before my term as president began it came to my attention that one key board member did not support my administration. Instead, she made it well known that she did not think I should be in the leadership role. I decided to meet her for coffee to get to the bottom of the problem. We sat down at a local Starbucks and I point blank told her that I had the feeling that she did not really like me that much. She agreed. We had a honest discussion about why she believed I not one who would follow through on my efforts, and therefore should not be president of the organization. While I disagreed with the examples she stated, I knew better than to think I could change her mind. I stated my side of the situation, but with respect to her point of view. We agreed to disagree, and then I asked her for a "clean slate". I told her that I could not change the past, but that I believed that we could work well together in the future, and together help the organization achieve its goals for the year. She agreed. I am not sure that I did everything correct in my year as president, but the organization continued to grow and thrive. At the end of my term this woman pulled me aside and said that she thought I had done a good job, and she was happy that we had started fresh. She and I never became "best friends forever" (bbf's), but we did work well together on the projects at hand. And we both learned a good lesson about working together with people whom are not on your "A-List". Ever since this time I have tried to give people a clean slate when I can. I take a moment to let them know where I was disappointed in the past, but also own the fact that I cannot really know their situation, and that I do not need an explanation or apology, but instead I would just like to start over. Sure, there are some people who are not capable of starting over (these folks are always focused on the negative) and sometimes people will let you down again, that is just life. At least you know you tried to remedy the problem. If you make the effort, then it is easier to live with the sour relationship. Take a chance on others and give them a second chance. You Deserve More Referrals and Higher Visibilty In Your Business Community! Does your company capitalize on your business contacts 100% of the time? Are your employees fired up about networking? Do your "friends" refer you business? Are you excited about 2008? Does your staff understand that "opportunities come from people"? Can you harness the power of your business relationships? Hire me to come and speak at your 2008 strategic planning session, partner meeting, sales team retreat, or other event...and together we will take a journey to inspire, educate and motivate your employees to embrace the importance of making connections that can and will lead to more business. 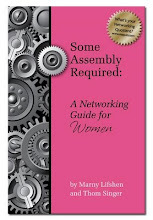 "Some Assembly Required: How to Make, Grow and Keep Your Business Relationships" is more than just a talk about networking. This interactive conversation with your team will help you identify the reasons that having the "first of mind" position in your community will lead you to a more productive year. All opportunities in your life have come from people. Therefore how you treat others will have a direct impact on your future success. Assumptions are the enemy. Do you really know why your customers buy from you? Are you sure they are not buying from your competitors, too? Most business owners think they know the answers to these questions, but Pete Monfre says "What you know, aint necessarily so!" Getting it wrong can be very expensive. This is why you need to be conducting customer surveys. Not just casual chats with your clients, but structured research that can and will lead you to the information that can bring you more success. Marketing wizard Pete Monfre is this weeks guest on the podcast. CLICK HERE to hear the whole interview. I'm On LinkedIn -- Now What? I am long overdue in writing this book review, as if anyone deserves the kudos it is new author Jason Alba. "I'm On LinkedIn - - Now What?" is a book for EVERYONE who has looked at social media / on-line networking and felt dumbfounded or overwhelmed. The world has changed a lot over the last decade. Ten years ago many of you had limited access to the internet, now I assume you live and die by your high speed connections. Think about sitting in the waiting area of an airport in 1995. You sat. Maybe you read. Perhaps you talked to the person next to you. Now many of you are connected to your laptop, blackberry or other mobile device. When you cannot get a wireless signal you feel put out. Oh, the horror of it all. With all the changes have come new and important products and services that did not even exist a few years ago. Some of these are hard to understand their importance, as they are still morphing in how they are being adopted by the masses. LinkedIn is one such on-line service that many people still do not understand or properly utilize. 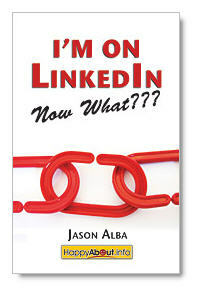 Jason Alba has written a great educational reference guide to help those who are new to LinkedIn, or unsure of how to use it to their full advantage. 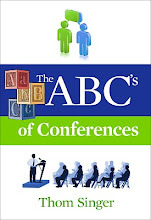 The book is only 110 pages long, but it is packed with useful information and tips to strengthen you online presence. While the book focuses on LinkedIn as a tool, much of the information is transferable to all online services. His advice on how to manage your visibility is right on the money and will lead you to more opportunities in your career. I have come to know Jason over the past 18 months, and consider him a good friend, although we have only met in person once. Jason is the master at building true friendships via the internet. He lives every word that he writes in this book. I am honored that he thanks me in the "Acknowledgements" in the front of the book, as I think it is I who should be acknowledging him for all he has taught me! I an effort to streamline getting questions answered about networking, business development, sales, marketing, PR or any other topic..... I have created www.askthomsinger.com. I will be utilizing the most interesting questions to create blog posts, so I encourage you to think about what you would like me to address in this blog to make it more relevant to your interests. Thank you for being a reader, and I encourage you to ask me questions to help make information covered on The Some Assembly Required Blog even better! I once read about the concept of an “appreciation bomb”. I think this comes from Christine Comaford-Lynch, author of Rules for Renegades, but I am not positive. The idea is that you spend some time focusing on things that you love and for which you are grateful. This is not something you do passively, but instead a proactive and emotionally charged exercise where you go through all the wonderful things you can think of in your life that bring a smile to your face. Do not just skim over the image you create in your mind, but instead concentrate deeply on what it is about the person, place or thing that is special, unique and fills you with joy. This is not easy to do, it takes personal effort to focus on only the joyous things in your world. But wonderful things exist for each of us and are intimately linked to our soul. As you ponder the good in your life, you should allow yourself to overflow with emotions. If you shiver or cry you are on the right track. If your mouth curls up into a cheek splitting smile, you are doing this correctly. Spend ten or fifteen minutes lost in your appreciation. Flood your conscious and unconscious mind with pure love, happiness, passion and peace. After you drop this bomb on yourself, be prepared to have some amazing opportunities come into your life in the near future. The universe rewards those who recognize their blessings and are grateful for all of the greatness that surrounds them. The Law of Attraction brings you more of what you think about, so spend some time thinking about what is already phenomenal around you. Does this sound hokey or too new age for you? Okay. But think about it for a minute. Does spending a quarter of an hour being truly grateful cause you any harm? No. So we know for sure that nothing damaging can come from feeling thankful in your heart and soul. If this is true, then why not do it anyway? If nothing else, you will feel good. And just in case the concept of an “appreciation bomb” really does bestow upon you more great things.... who wouldn’t want that. 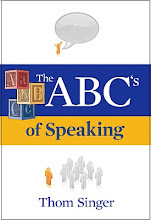 ***Looking to hire a speaker for you 2008 planning meeting? I have a great presentation focusing on the power of business relationships that will inspire your team to embrace networking. 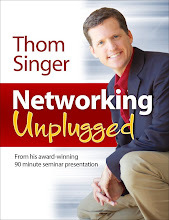 More info at www.thomsinger.com or www.askthomsinger.com. I am speaking tomorrow (Thurs., Nov 8th) at the Westlake Chamber of Commerce. 11:30 at the Lost Creek Country Club - Austin, Texas. Most business professionals understand the basics of investing in the stock market and real estate, but have no concept of how to invest in their own career. People do business with people they know and like, therefore to reach your highest potential an individual needs to look toward the future when cultivating a network of personal and professional contacts. If you already have a great network that meets all your needs, that is wonderful. However think ahead and make sure that this same group will always satisfy your situation. Opportunities come from people. No matter what you want to accomplish in your life and career, you need the assistance of others. Networking is not about just knowing a lot of people, it is about making real connections with the right people and forging mutually beneficial relationships that lead you both to higher levels of success. Regardless of your industry, it is other human beings who are the conduits that bring you to the next level. To connect with others in the business community you must invest time. You and your company need to be involved in local organizations and physically attend the business functions. It is easy to get caught up in important busy work for your current clients and rationalize avoiding these gatherings. However, participating in the community will expose you to amazing people and opportunities. It might take many years, but eventually those you meet today will bring your business, the chance to serve on boards, and lasting friendship. You have to invest time in really getting to know the people that you meet. Exchanging business cards does not make them part of your network, it makes them an acquaintance. It takes seven to ten interactions with people before you can call them a friend. If you just leave it up to chance you might cultivate a relationship, but if you are proactive and reach out to others, you will have more success. 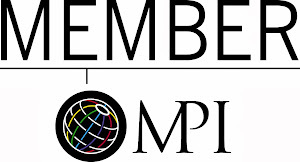 Your local Chamber of Commerce and other civic, business and charitable organizations provide countless events where you can meet others and build your network. Educational seminars, happy hours and other special occasions are happening every day in your community. Make your plans to be more than a passive observer in these activities, and get involved. Be committed to expanding your network and invest in your future. 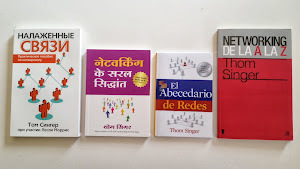 I read a book yesterday on an airplane that is worthy of my posting about it here on the blog. 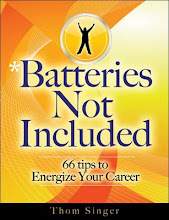 It is not a business book, but it is relevant to the way we view the importance of the relationships in our lives. The people we know are all miracles and we need to cherish them. This book, Life's Golden Ticket by Brendon Burchard, will make you think about everything. I met the author recently (see photo), but I had no idea his story would be so compelling. I could not put the book down had had to stay awake to finish it the same night. When we interact with others, we do so with multiple assumptions. Our own experiences influence our actions, thoughts, feelings and reactions. In this "inspirational novel" the lead character goes on a journey through his past, present and future....revealing to him the true secret for a better life. Have you ever felt as if your life is out of your control? You go to work, but you feel you are stuck in a rut. The people, places and things that you thought would bring you joy are no longer exciting. "Blah" takes over and you just go through the motions. If you relate to this state of being, you should join Burchard's journey with the cast of characters he has created to lead you to your own miracle. This book will make you examine the relationships in your own life, while you cheer for the protagonist. Near the end of the book a main character proclaims; "You can't wonder where miracles go or where they were from - you just have to be thankful for them when they arrive, and thankful for them after they have departed." This is also true of the people in your life. Many will come and go, but those you encounter are miracles masquerading as people. Embrace them. Love them. Cherish them. They are Life's Golden Ticket! I once heard that the authors of Chicken Soup for the Soul tithed on every project they have created, and since have donated millions of dollars to charity. Their book series has sold over 100 million copies! That is a lot of soup. Co-author of this best selling book series, Mark Victor Hansen, recommends that speakers and authors start early in establishing a habit of donating money to charity, instead of claiming they will wait until their ship comes in to give. If one is not accustomed to contributing to society all along, upon becoming wealthy, they will not be a giver. Mr Hansen's beliefs touched my soul, and caused me to think about the importance of giving something back. I have been blessed with the honor of speaking to a variety of corporations, law firms and other business groups since the release on my first book. Some Assembly Required. While I appreciate the speaking fees that come with being a motivational speaker, I decided that I need to honor others and donate a portion of my speaking fees to a cause greater than my personal bank account. In December 2006 my wife and I established the Kate Singer Endowment for Cranio-Facial Surgery at the Dell Medical Foundation of Central Texas. Five years ago my daughter, Kate, was born with a rare medical condition called Sagital Synostosis. This caused the bones in her skull to be prematurely fused together. This was a horrible time for our family as we faced many rough and difficult decisions. Kate had surgery at six months old to remove much of the top of her skull, and then having it reconstructed. Today she is a delightful five years old. She is fabulous. Hopefully there will never be any side effects from the ordeal. We had to travel to San Diego to have state of the art doctors and facilities for this procedure and the ensuing follow ups. We found the experience of working with the doctors and staff at the SD Children's Hospital to be amazing. Since that time our home town of Austin, Texas has opened the new Dell Children's Medical Center, and has hired many of the top doctors in the world to come here to excel in providing the best possible care for sick kids. They have recruited a wonderful group of professionals who specialize in conditions like Kate's, so now local families have state of the art options right here in Austin! My family now donates a portion from every speakers fee to the research and support of the team at this new hospital. We also hope to one day add to that giving to honor the phenomenal doctors in San Diego who are leading the way in discovering new methods to tread these types of birth defects. If you would like to make a donation to the Kate Singer Endowment for Cranio-Facial Surgery, I encourage you to send a check directly to the Central Texas Children's Medical Foundation (the address is below). Even ten dollars makes a difference to this team of surgeons who are helping kids like Kate. Please write "Kate Singer Endowment" in the memo section. Make Checks payable to "Children's Medical Center Foundation of Central Texas"
Last night I met international magician and hypnotist Danny ZZZZ. This guy is one of North America's top headliners, entertainers and television stars, who "wows" audiences with his mental illusions and slight of hand. He can be seen on NBC's Phenomenon. He is also a businessman, husband, father and cool guy. All around a very interesting person to talk with over a beer. How cool do you think it must be for his nine-year-old son....DAD IS A MAGICIAN! At the end of our conversation he bent two forks with his "power". I was sitting right there, holding the forks, and I have no idea how he did it. When you see him on TV, you can rationalize all sorts of thoughts and opinions of how he manipulates the metal. But when you are holding the fork in your hands as he makes it melt, it shocks you at your core. When he left I found myself holding two broken forks, and I was dumbfounded. This guy is the real deal. I write a lot on this blog about how a simple gesture can really make another person feel good. Today I got to be on the receiving end of a class act that made my day. I am still smiling. I recently started a new job with vcfo, inc as the director of business development. The company is an Austin based consulting firm (now in four cities) that enables busy finance and HR departments to better accomplish their tasks by providing hands-on experienced talent to achieve results. I like the job, and find it to be both rewarding and challenging. In addition, the staff is made up of a team of talented and entrepreneurial people, which makes for an inspiring work environment. I have been here a month, and am energized by the opportunity to be part of the company's continued growth. When I walked in my office this morning I discovered a nice bottle of wine on my desk. It was from the corporate and securities partners in the Austin office of the Andrews Kurth law firm. This is the firm where I used to work in a business development and marketing capacity a few years back. The partners all signed a card congratulating me on my new job, wishing both me and vcfo success in our future together. Wow! That really made my day (heck, if I feel this good before I drink the wine, imagine how good I will feel once my wife and I uncork this fine Cabernet!!!!). They did not need to take the time and effort to send me a bottle of wine....but I will not soon forget them, or what they did to highlight my new career. I find this to be a class act, and one that does not happen for people often enough. If you want to stand out from the crowd and be remembered, take the time to find special ways to honor the people in your network of professional contacts when they have a milestone achievement in their life. A bottle of wine, a box of chocolate, or even just a handwritten note of congratulations will be noticed. It will help put you on the top of their mind, and that is where you want to be!